Dr. Chung-Lin Huang is currently working as a Professor in the Department of M-Commerce and Multimedia Applications, Asia University , Taiwan . His research interests includes Computer vision，Human machine interface，Multimedia communication，Image processing，Video computing. He /she is serving as an editorial member and reviewer of several international reputed journals. Dr. Chung-Lin Huang is the member of many international affiliations. He/ She has successfully completed his Administrative responsibilities. He /she has authored of many research articles/books related to Computer vision，Human machine interface，Multimedia communication，Image processing，Video computing. 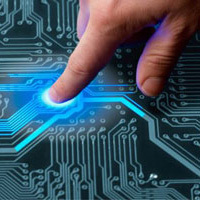 Computer vision，Human machine interface，Multimedia communication，Image processing，Video computing.